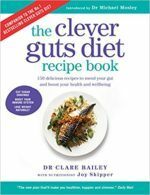 I just came across Kale Brock, an australian gut health journalist and researcher that has great useful content when it comes to gut health and how to take care of your gut. I’d be a bit sceptical of someone who said we are 99% bacteria when 60% of our body mass is water. About 90% of the living cells in our body are bacteria but that is a bit meaningless as they are much much smaller than human cells so are only about 1-2% of our body mass.